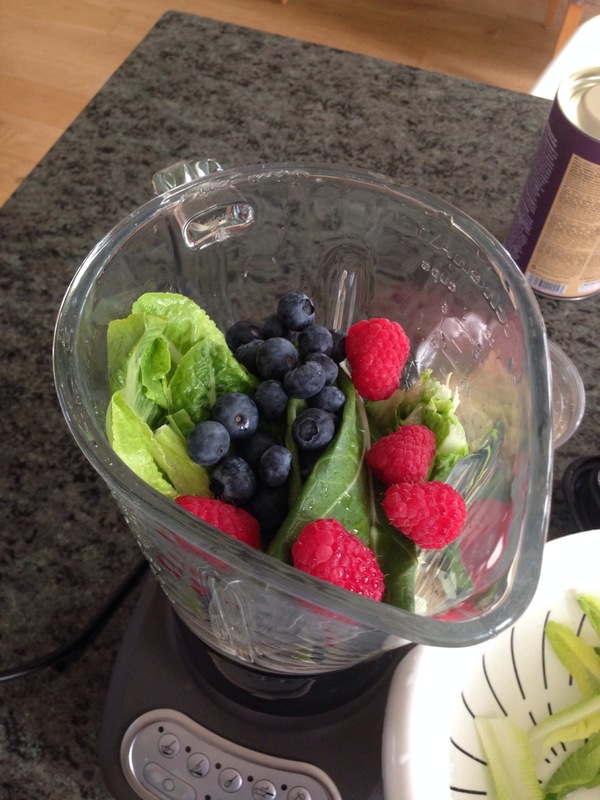 Get your bod and mind in shape by consuming a yummy lunch shake, brimming with fresh fruit and veg, nuts and seeds. 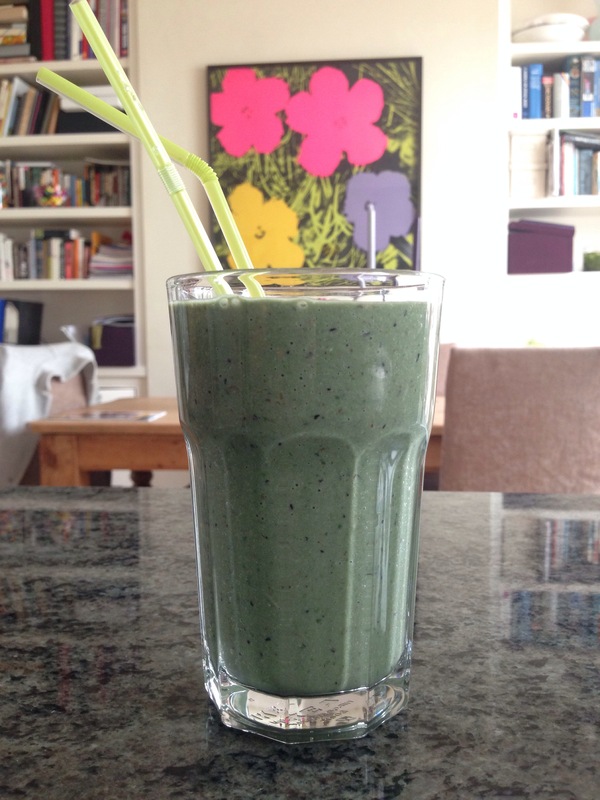 If you work from home this liquid lunch is easy peasy to shake up – but even office bound peeps can prepare this in the morning and bring with. It will infuse system with much-needed nutrients and fats. As I’m always on the hunt for things to put in my juices and smoothies I recently came across a Raw Green Protein Powder, by Purple Balance, that I now add to my drinks. I have chosen the raw vegan version but there is also whey (derived from milk) varieties should you prefer that instead. There are also various flavours to choose from and many brands that you can get from reputable health food suppliers but look for natural ingredients as much as possible. 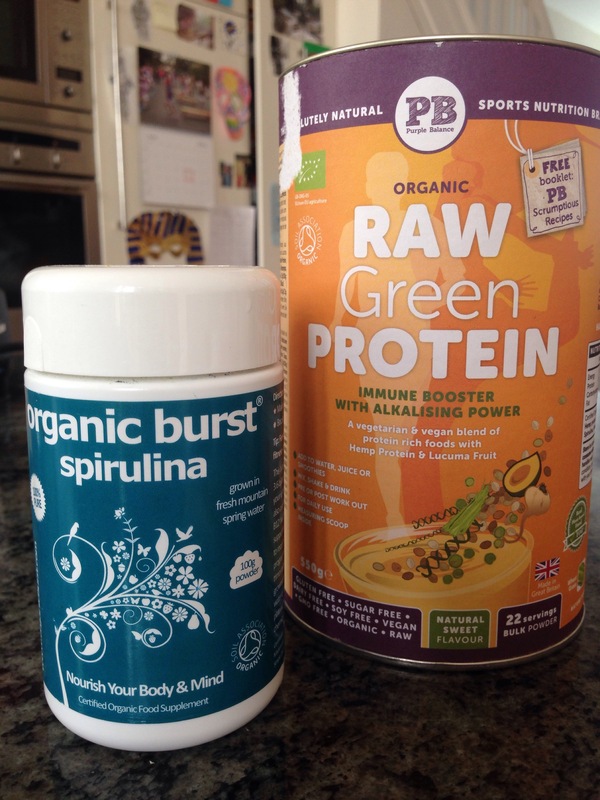 I also add an extra teaspoon of Spirulina that add B6 (immune system and cognitive function) and B12 (for heart and nervous system) to ensure my shake produces maximum effect!